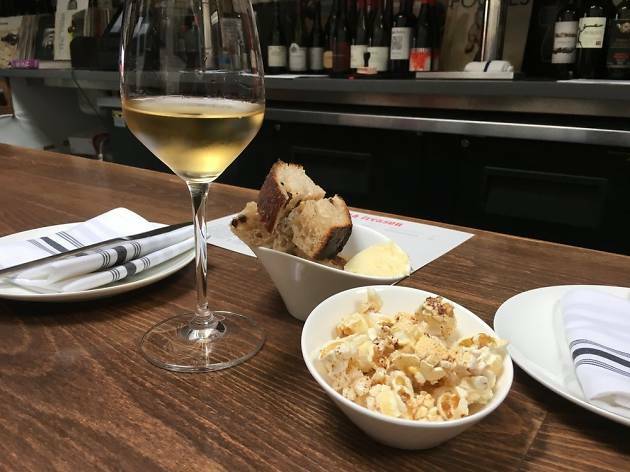 A laid-back bar with a sophisticated selection of wine from veteran sommeliers John Vuong and Michael Ireland. Veteran sommeliers Michael Ireland (Restaurant at Meadowood, Quince) and John Vuong (Ame, Gary Danko) opened High Treason as a hangout for fellow somms and wine lovers. 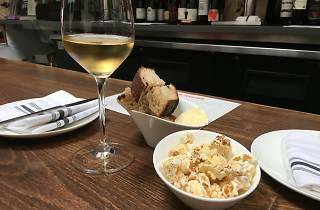 The well-curated menu will thrill wine geeks, while the friendly staff can help steer newbies. Colorful artwork, a record player, the occasional live DJ and quality bites and conservas (canned seafood from Spain and Portugal) keep the space fun rather than stuffy.